Think of printing shops, household appliances or furniture stores, for example. Small stores often try to give them away because it clogs their delivery areas and forces them to call professionals to clear them. The best thing is to come by in the evening just before closing time. The building sites have the material delivered by pallets (tiles, cinder blocks, cement…). While large construction sites are interesting “spots”, smaller construction sites such as houses under construction are often more accessible. You will certainly find some pallets waiting for you. (It will, however, be necessary to be a little bold to go see a stranger and ask him for his pallets!). Go for a walk in your waste collection center, you will certainly come across a few wooden pallets, but the hardest part will be to be able to leave with them. 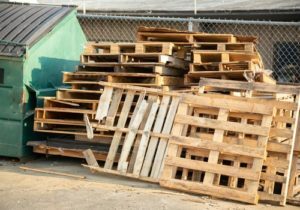 Indeed, it is common to find pallets in waste collection centers, but it is forbidden to recover them! The contents of the tippers and containers of a waste collection center belong to the community that owns the site or to the management company. 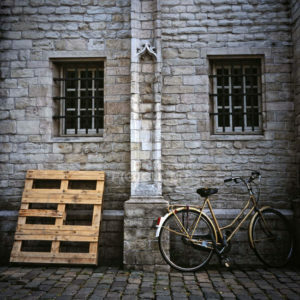 Even simpler, but rarer, take advantage of the days of bulky pickup to go around your neighborhood, with a little luck you may come across a pallet waiting for you at the end of a street. More resources available here: Where to get wood pallets?